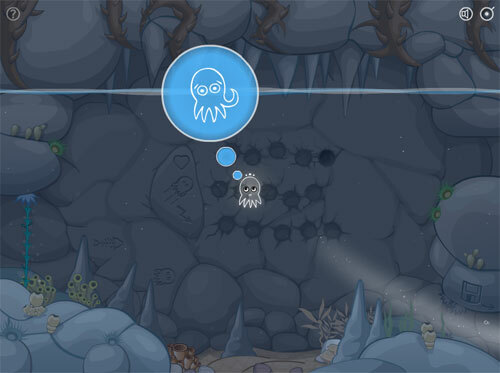 Description Coloropus is an underwater adventure puzzle quest game about an octopod creature named Coloropus trying to save his girlfriend. Gameplay is based on solving color mixing and physics puzzles, fighting with dangerous underwater creatures and helping friendly ocean folks. The game has no use of spoken and written language. All interactions between the game's characters come as funny animated dialogues telling main storyline and providing hints to Coloropus players. - there is no way to fail the game. Even if the main character dies he'll always have another chance to get back to life by solving more puzzles and literally going through Heavens or Hell.